With Cassini making final preparations to penetrate Saturn’s rings, and renewed interest in colonising the Moon and sending people to Mars, space flight and exploration are experiencing a level of interest not seen since the Apollo missions to the Moon in the late 1960s and 1970s, and the space shuttle programme of the 1980s. Space travel and exploration have resulted in a variety of technological developments which have benefited life on Earth – but could the experiences of humans in space also have impact on our understanding of terrestrial human health? Scientists at the University of Plymouth and Northumbria University, Newcastle, are helping to write the medical rulebook that will keep astronauts fit and healthy during long trips through the solar system. While working at the European Astronaut Centre (EAC), in Germany, Northumbria’s Dr Andrew Winnard realised there was very little evidence housed under one roof on what changes we expect to occur in astronauts during spaceflight – and what interventions work best to try and prevent these changes. Andrew also noticed that there was no systematic review group for the entire aerospace medicine field, like there are for almost all other areas of medicine. He recommended a systematic review group for aerospace medicine, to look at the effectiveness of interventions to prevent health and fitness changes among astronauts and military and civil aviators that will facilitate reviews to inform operational medical guidelines and decision-making processes. He enlisted the support of systematic review expert, co-convener of the Cochrane Priority Settings Method Group and qualified pilot, Dr Mona Nasser from the University of Plymouth, to help formulate the group. 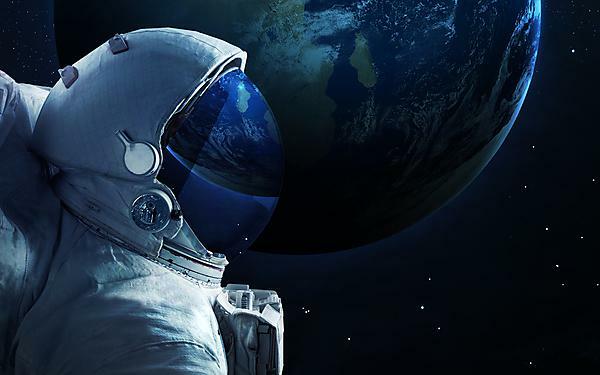 As well as benefiting astronauts and those working in space, the learning will also be used to inform medical practice on Earth; such as in the treatment of lower back pain. Northumbria is working with experts from the University of Plymouth, the Aerospace Medical Association (AsMA), the European Space Agency (ESA), the Royal Air Force (RAF) the International Space University and Blue Abyss – the world’s largest research, training and development pool for marine and aerospace – to launch this review group at an aerospace medicine conference in the US in May 2017. The group are also launching their website at the Aerospace Medical Association 2017 Annual Scientific Meeting in Denver, between April 29- and May 4 2017. Northumbria University has already worked with ESA and international collaborators including astronauts to conduct a systematic review of the effectiveness of exercise to protect the lower spine and pelvis from changes that happen in space. The review found no current researched exercises are fully effective at preventing these changes so post flight rehab is needed. Northumbria is now developing the ‘Functional Re-adaptive Exercise Device’, known as FRED, which has been created to combat the back problems astronauts suffer when they return to earth. The device can also be used by those that have developed back pain on Earth. “As more people go into space and as space exploration expands beyond low earth orbit, effective countermeasures to low gravity environments become even more essential for crew health and mission success. Existing literature on space health topics is widely scattered and of highly variable quality. A dedicated systematic aerospace medicine review group is important to provide a consistent, high quality assessment of findings that will lead to improved medical decisions."